Now for the record before we begin: I bought the Runepass with my own money, this is not a sponsored post nor was the thought ever proposed by Jagex. My game time credentials in RuneScape are such; I have played RuneScape since 2004 pretty much nonstop, my account has more than 187 days of pure game time invested and I’m willing to be that I’ve easily put over a grand in real life dollarydoos through a combined cash shop purchases and the fact that my membership has literally not lapsed since March 2005 and still has me grandfathered in at the $5/month rate. Knowing this, it probably shouldn’t surprise you that I dropped the $10 on the Runepass almost immediately. 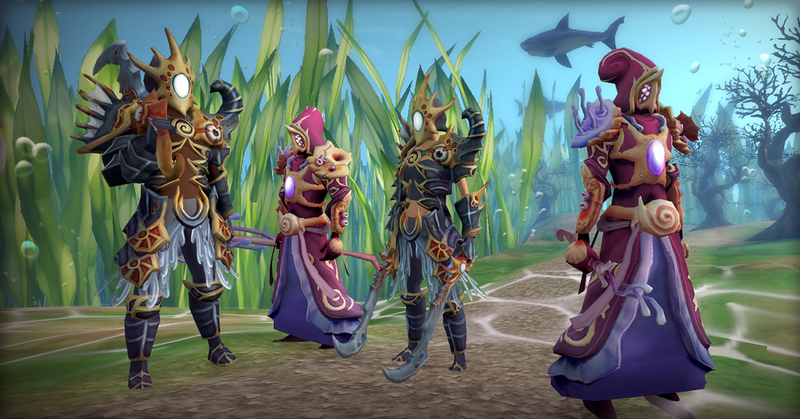 I would be lying if I didn’t say that RuneScape’s Runepass didn’t disappoint me in the slightest. There have been a lot of comparisons of this pass to ones sold in Fortnite, in PUBG more recently, and in games like Counter Strike: GO and Dota 2. If you compare Runepass to other games, it’s a terrible value proposition. Fortnite’s battle pass costs $10 and each season runs for about two months where as RuneScape’s first pass costs $10 and gives you approximately 15 days to complete 30 tiers. In Fortnite from my understanding you can generally accumulate enough v-bucks to essentially buy the next season pass, in RuneScape you get jack all in terms of existing content. In Counter Strike: GO, the items you obtain from passes can actually be sold on the market and used to buy more games on Steam. Here? Don’t even think about it. On the subject of Dailyscape: Dailyscape is the lovingly applicable name given to RuneScape by players concerned that the game has become heavily reliant on daily tasks and while Runepass does contribute to Dailyscape, I’m willing to argue that it does so at a much lesser degree than previous events. This is RuneScape we’re talking about, so ultimately most stuff is going to come down to a grind. As someone who quit the previous three treasure hunter events because the gain of currency was stupidly slow. This time around the point gain isn’t excruciating. The daily repeatable task has been gaining experience, starting at 10,000 then 100,000 and increasing from there. Daily pass tasks are simple things like cut 50 logs, mine 50 ore, etc. It’s the kind of stuff that you can complete in the matter of a few minutes by going for the low level and thus easy to mass-produce resources. To put it into perspective, if you completed both weekly tasks: Complete 5 slayer tasks and harvest 50 times from farming patches which take no time at all, you’re five levels deep. There were 28 daily tasks that stacked (meaning you didn’t have to log in every day to complete them) and individually might take at most ten minutes to complete. That’s 140 points, or another 14 levels, and you’re up to 19 levels. This leaves 11 levels to be gained via experience which can likely be done by playing an average of an hour or so a day. On the subject of MTX: On the subject of real money economy, Jagex has stated that the aim for this is that if Runepass is successful on the non-public level that they are aiming for, that it will lead to less Treasure Hunter promotions. Jagex has the same relationship with promises and timelines as, well as I do. Jagex makes a lot of promises, a lot of those go unfulfilled. When it comes to money, especially, Jagex has not followed up on a lot of promises in the past. Let’s not forget that most of RuneScape’s microtransactions go directly against some promise that Jagex has made in the past in one form or another regarding what players can and cannot buy. On the subject of rewards: On the subject of rewards, for $10 the Runepass rewards are rather…crap. A small handful of untradeable cosmetics and a bunch of untradeable experience items. And if you’re a maxed player who doesn’t much care for the ocean theme? There’s nothing for you here. I’d like to see Jagex put better rewards in future Runepasses considering this is something they expect players to throw $10 in for on a semi regular basis. Give something good as a reward, to at least give the impression that people are getting their dollar’s worth. Throw in some rare tokens, some runecoins, something. In Conclusion: Again, it’s hard to pass final judgement since this is effectively a pilot program and a lot of it depends on how Jagex treats its other microtransaction promotions going forward. If Runepass proves successful and they ease up on the other promotions as a result, all the better. If they double down on both, then we have a problem. But Jagex does need to have some sort of perspective on price and quality. If they’re going to charge the same amount that other games do, they can’t offer a fraction of the duration and rewards.